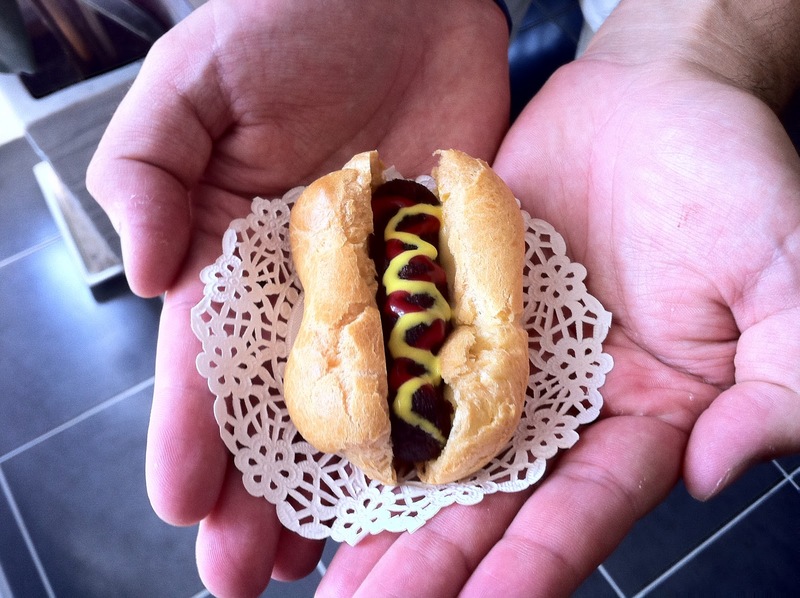 >What a great effort – it does look like a hot dog! >Wow! That is super creative! Well done! They look so much like the real thing!!!! 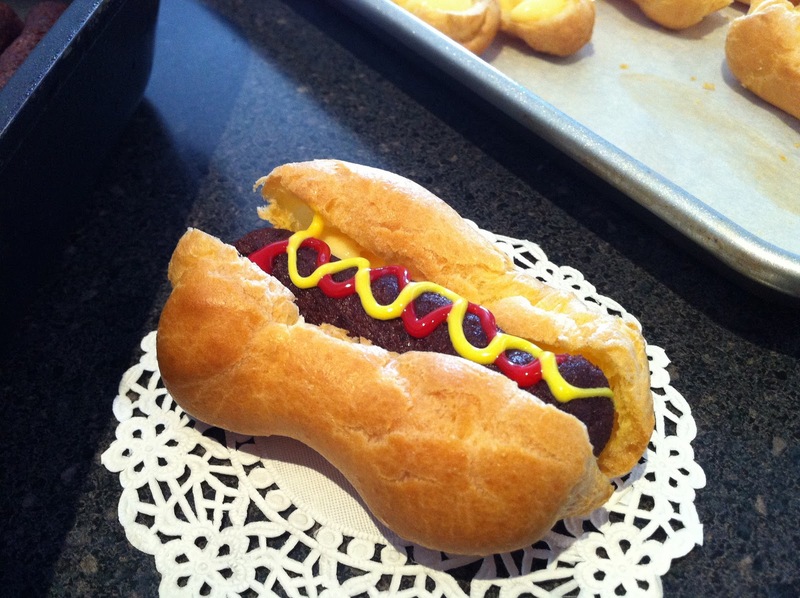 >Oooh, I was hoping someone would make a cake version of hot dogs! 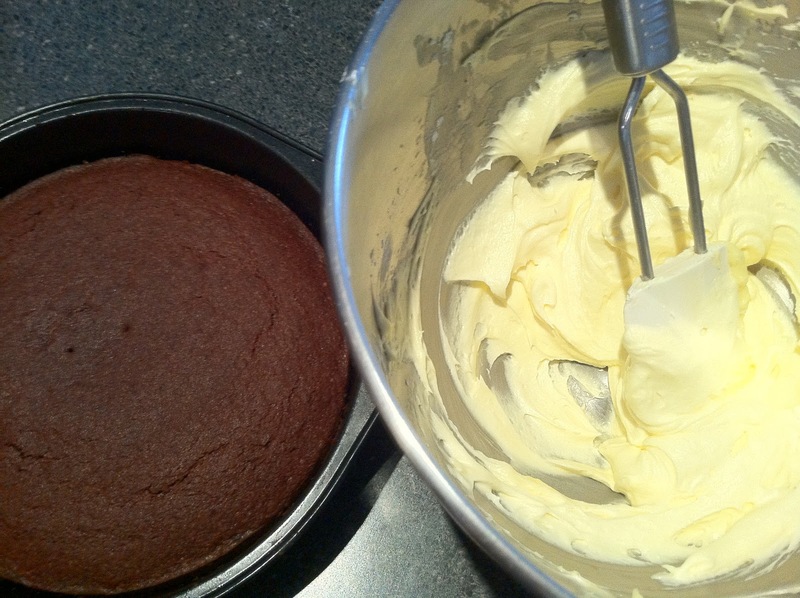 (I'm far too lacking-in-skills to attempt such a feat myself :P) These looks wonderful, and aesthetically spot-on too! >Iron Chef points for originality! >So creative & inspired. Fantastic presentation too. How did they taste? >These are amazing. Ten points for originality, imagination, design and the end result. Looking at them really makes you want to try one. >You could have fooled me!!! So cute! Am a big hotdog fan, now the sweet one trumps them all. >Wow I'm really impressed! I love the idea of doing something different from the run-of-the mill hot dogs and these are definitely the definition of different!They look really really good! >This is top notch. 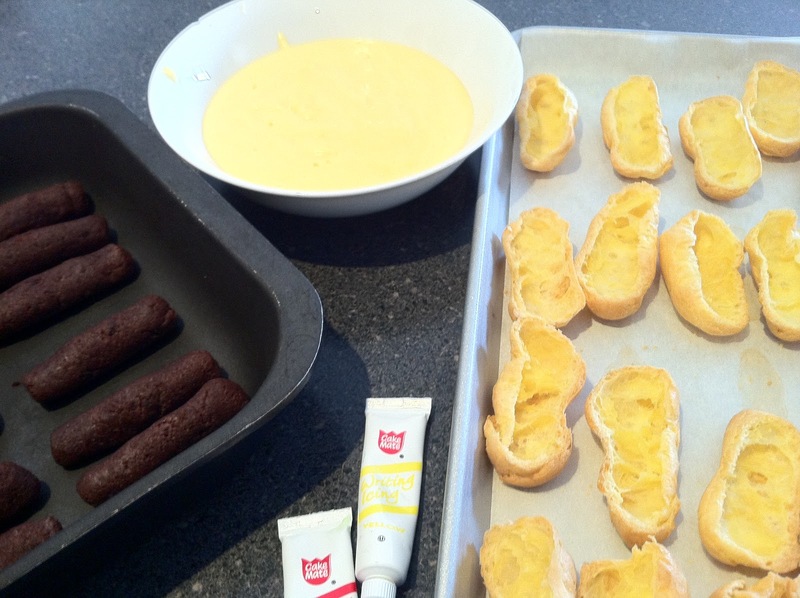 I was thinking who was going to make a dessert type hotdog and voila…you rock girl. 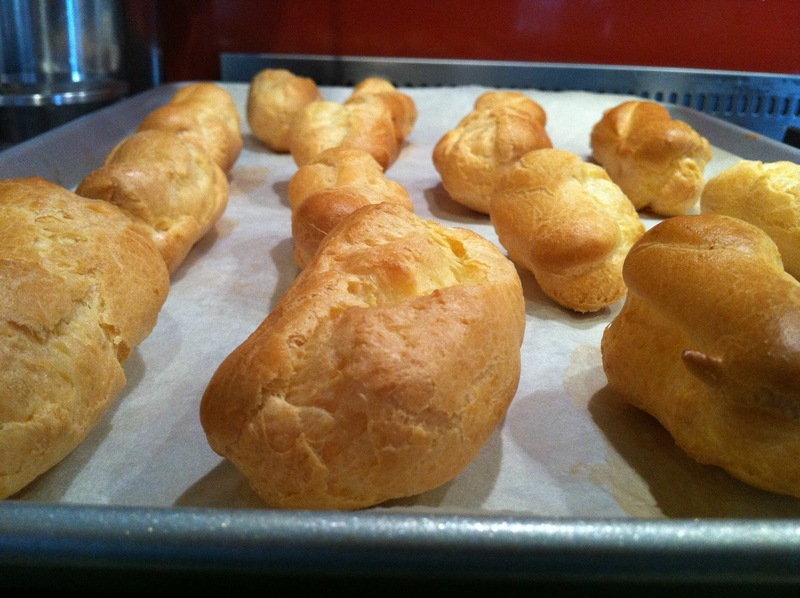 Choux pastry is on my to do list as well. This year may just be the year to conquer the fear too. >I wouldn't have known these were made of cake just by looking at the photos. Amazing work!!! >Your choux pastry came out much puffier than mine! I don't think I've ever used milk in it. 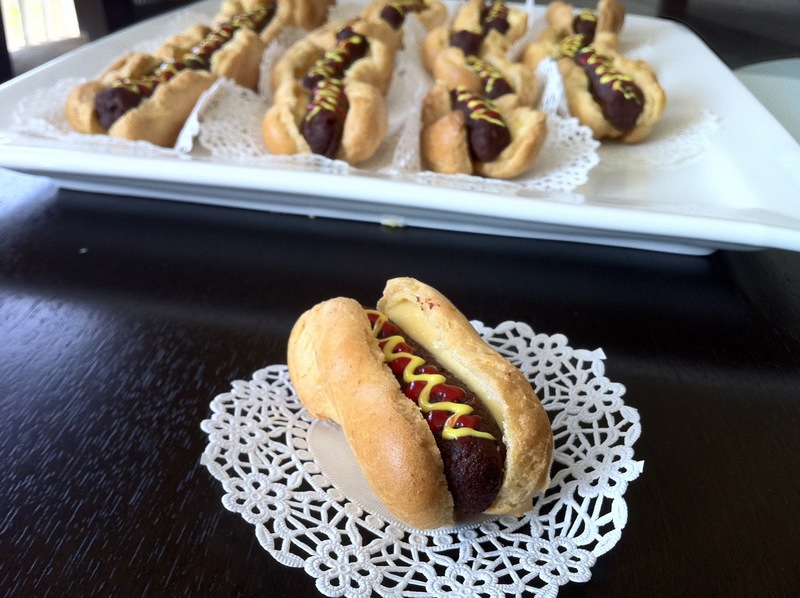 These are so smart – it must be weird to bite into one and taste the sweet flavor, it looks so like a hot dog! >sounds like a fun and creative way to serve "hotdogs" it will trick the mind and definitely love the surprise as you bite. >These are totally inspired! I love your thought process behind these sweet treats! >Another wonderful sweet hot dog version, very creative. >This is awesome Cherrie. It certainly fooled me. It looks like a real hotdog. 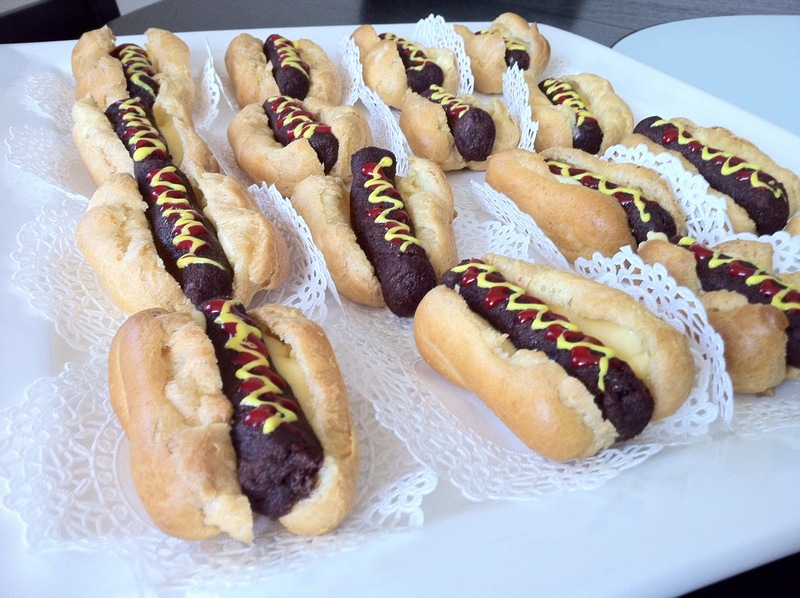 >These 'hot dogs' are brilliant!!! They look sensational and I can't tell they are not the REAL hot dog!! >How very fun and creativE!! >You are a GENIUS! I love this idea and can't wait to try it for April Fools. >Your work really paid off! That's such a fun creation and definitely not something you see everyday!